Yup, I know: I'm late ... again. Still, not as much as last month, and things are looking up, and I am now gnawing away slowly at the backlog – the ‘Mountain of Neglects’, as I joined Brenton Dickieson in quoting Tolkien last month. There are still old neglects to catch up on, but they are fewer than they were. Some of the artworks this month show that I often like my illustrations to try out new routes; to add something new to our perception of Tolkien's work, even if – and perhaps particularly if – it doesn't fit withour usual perceptions or (to be honest) with Tolkien's text. This is also the main reason why I am saddened by the many illustrations trying merely to recreate someone else's vision – it doesn't give us anything personal, just an imitation (which might be flattering to the imitated, but not very interesting), and I am quite unlikely to include such pieces. 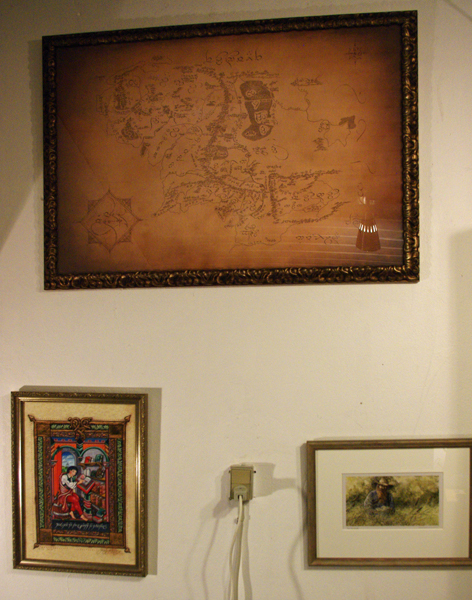 Another thing about the images this month is that three of the pictures are of pictures on my wall. 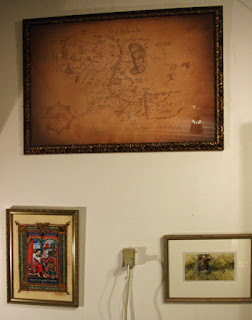 For my birthday, my mother gave me a framing of three of my Tolkien pieces, and I have now finally managed to hang them (there have been a bit of problems with the frames and the wall etc.) and I want to show them off. But I do feel that I need to apologise to the artists – not for the frames, nor for wanting to have their art on my wall, but for my poor photography skills. Please believe when I insist that these pictures look much better when seen for real (the photographs were not improved by the fact that I had to take the photos quite close due to my Tolkien book case being about 1.5 metres from the wall). Still, I wanted to share my joy (and, I admit it, pride) in these pictures. 14 April–10 June 2016, Various locations, Scotland (and 10 September, St. Anthony's College, Oxford), ‘Leaf by Niggle’, Puppet State Theatre Company. Reflections on the stage play of Leaf by Niggle which conquered the Tolkien Society at Oxonmoot this year. It was truly a privilege to be able to watch this play, and not least to be able to do so in the company of my Tolkien Society friends. Thanks to the Puppet State Theatre and to all those from the Society involved in getting this enchanting experience to Oxonmoot. Thank you! 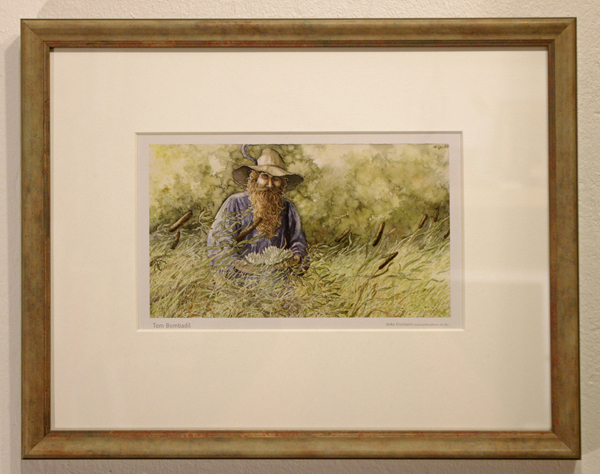 do it justice, having put it in a proper frame. A very interesting article written with John Garth's usual clear and approachable style, pinning down the wager between Lewis and Tolkien that directly gave us Out of the Silent Planet as well as The Lost Road and, as Garth argues, indirectly led to The Lord of the Rings. I am very much looking forward to see John Garth's upcoming Tolkien book, Tolkien's Mirror: Creation in the Catastrophic 20th Century. An excerpt from John Garth's superb Tolkien and the Great War. If you haven't got that book yet, read here to get a sampling of John Garth's ability to present his research in a very readable and engaging form. A comparison of two poems covering metre, imagery, phrasing and other elements. Very interesting, indeed! not in doubt, and so I bought this wonderful piece by Anke Eissmann. Discussing ‘The Pyre of Denethor’ (V,7). These are some of the reflections by T.J. West during his ‘Tolkien Appreciation Month’ as he re-read The Lord of the Rings. You will find more on his blog. 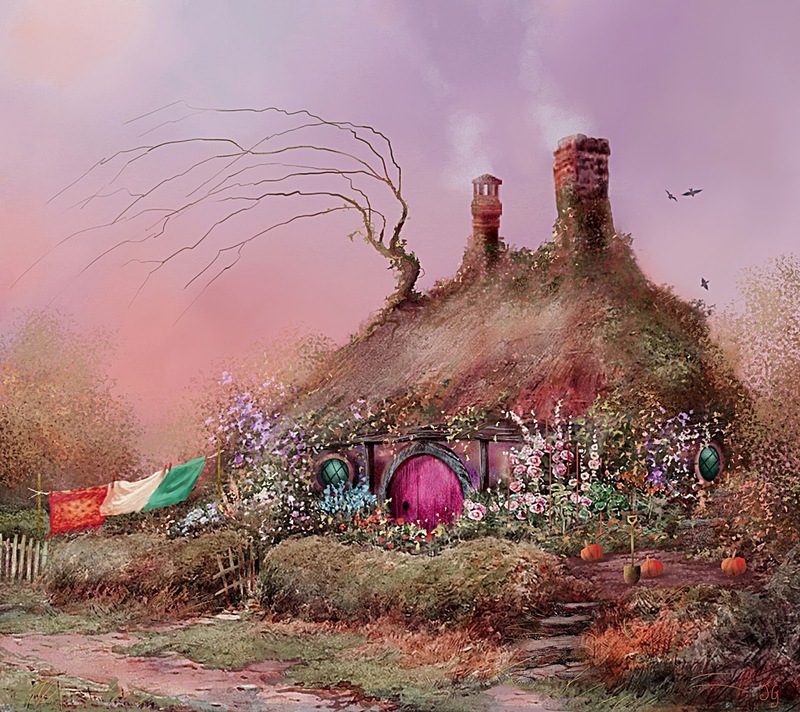 On the 79th anniversary (at the latest) of Tolkien setting pen to paper to begin the ‘second Hobbit’. An interesting juxtaposition of On Fairy-stories and the Ainulindalë. I am not convinced (meaning, of course, that I am somewhat sceptical) that ideas and concepts expressed in On Fairy-stores can be ported to Tolkien's Silmarillion sub-creation in quite the way that Hillman, at least as I read it, proposes here, but I quite agree that it could be interesting to see where such enquiries might lead. Cook continues his exploration of the earliest writings on The Lord of the Rings, and adds some very interesting comments along the way. When, for instance, he notes that “At this point in time, we must remember, Tolkien was very much in the world of The Hobbit and not at all in that which we now know as The Lord of the Rings.”, he also, almost incidentally, points out the vast difference between the worlds of The Hobbit and The Lord of the Rings – differences that Tolkien ‘solved’ by the expedient, but brilliant, way of just ignoring them and ultimately only merging / importing those aspects of The Hobbit that were consistent with his Silmarillion world and The Lord of the Rings (a few hints of something else can, as Simon points out, be found in the early chapters – the thinking fox is an example of that). A bit of etymology for a few of the names we meet in Tolkien's works. Philogist Edmund Weiner has posted a blog post on the hard choices facing Aragorn from the fall of Gandalf in book 2 to Gandalf's return in book 3. Having been lucky enough to hear Liz Wright speak about Aragorn's leadership at Oxonmoot this year I couldn't help but compare the two approaches. Where Wright based her talk on modern leadership theory, Weiner is mainly focused on words, focusing on how Tolkien uses the word ‘hope’. What, Hillman asks, is so ‘uncouth’ about the Shire? 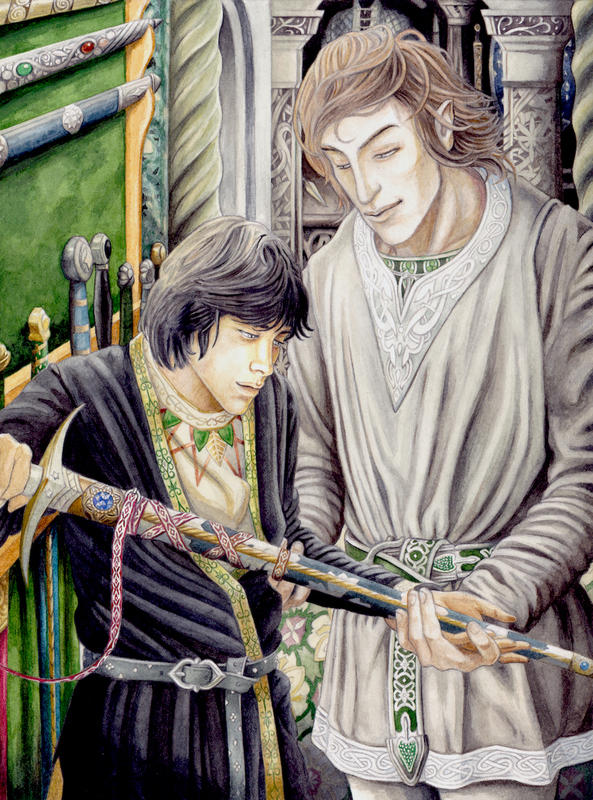 On Rateliff's essay, ‘“That Seems to Me Fatal”: Pagan and Christian in The Fall of Arthur’ in Tolkien Studies vol. 13.
to swirl my chair to find this kind of inspiration. Not sure entirely which Tolkienian tower this is, but I look forward to seeing more. Possibly the most irritating of the Great Debates for me – why bother with something nobody would actually want to happen, when there are so many (and, frankly, quite obvious) reasons it would not be a good idea? Still, LaSala does a quite good job at it, including the role of the Eagles in the wider legendarium. 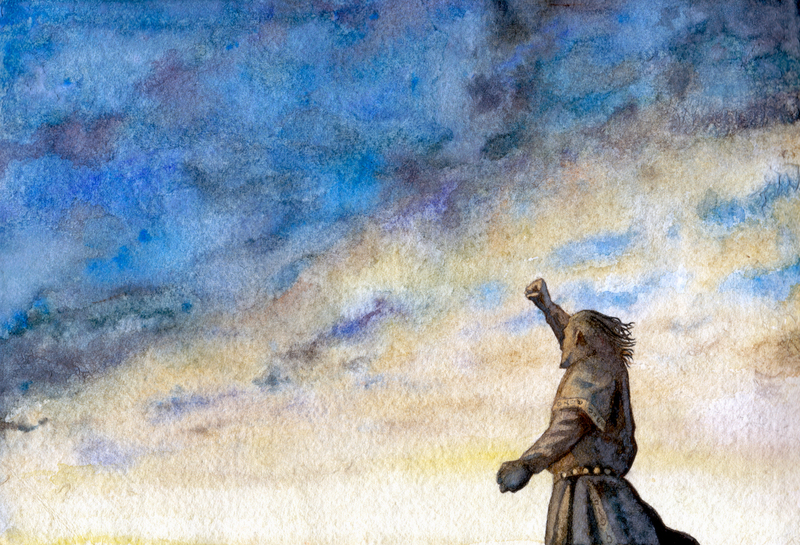 Starting his annual ‘Tolkien Appreciation Month’ at his blog, Queerly Different (likely to extend a bit into January), West shares some thoughts on setting out on his re-reading of The Lord of the Rings. As for the political application ... well, I suppose you all know where I stand with regards to mapping Tolkien to contemporary political questions and divisions. This goes into my collection of articles tagged “Political Tolkien” that I created at one point when I dreamed of one day having something intelligent to say about the use of Tolkien or his works to promote this or that modern political point of view (beyond the fairly basic ‘such is a pointless exercise in futile foolishness’). I no longer have such ambitions, but I do maintain the list. I have found that regardless of whether I agree or disagree with the political opinion being argued, I invariably disagree with the reading of Tolkien used to make him relevant to the specifics of the argument (I am all for the relevance of Tolkien and his applicability to modern life in a far broader sense). I was not surprised to see this call for getting engaged from Dimitra Fimi. Her own enthusiasm and engagement is certainly contagious (not least in person), and her caring about the impression her book covers give rhymes well with my impression of a genuinely warm and caring person (which, in the end, is more important than being a brilliant scholar – which she of course also is). Follow-up on the earlier post about a stage play focusing on the friendship between Tolkien and Lewis. I cannot help but wonder about the specific questions and talking points – and the reason for asking. But that is not really relevant, and I think Michael Martinez does an excellent job at an explanation, with which I agree. A question from Wayne Hammond and Christina Scull in preparation for the upcoming (is it September soon?) new edition of their J.R.R. Tolkien Companion and Guide. On examples of wit and humour in Tolkien's Silmarillion tradition (not all in the published Silmarillion). It is taking me quite a bit of time to get through Tolkien's Beowulf as I am, almost exclusively, reading on my Kindle in my lunch breaks, which means some 20 minutes per day (unless someone is keeping me company). Still, the pace suits me well, and allows time for reading other things when at home. I have finished the translation itself and am now reading Tolkien's comments. Nancy Bunting, ‘Tolkien and the Boy Scouts’ in Lembas Extra 2015, edited by Cécile van Zon and Renée Vink. The essay sums up what little is known about Tolkien's stint with the Boy Scouts (very little) and recounts a few things about the history and ideals of the early Scout Movement (probably good thing it wasn't me writing that essay – I probably would have had a bit more to say on those ;-) ). Bunting also tries to show how the Boy Scout motto, ‘Be Prepared’, can be seen as an undercurrent in Tolkien's work. Though I do not think we should look for a source connection here, I think that it would be worth doing more on the parallels between Tolkien and Baden-Powell simply seeing the latter as an exponent for some more general trends – after all, the Scout movement got a lot of early and eager support from all parts of society, which seems to indicate that Baden-Powell managed to connect to the zeitgeist of pre WWI England. 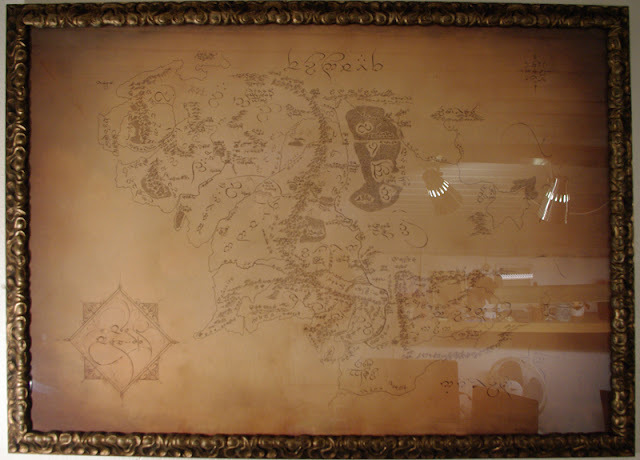 Being the biggest Tolkien’s Fan, I am in aw to see your blog post about the middle earth. 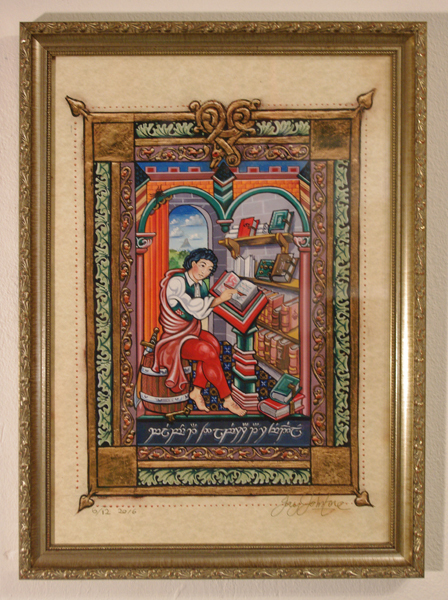 The most fascinating picture is Bilbo with the red book. Keep posting stuff like that!